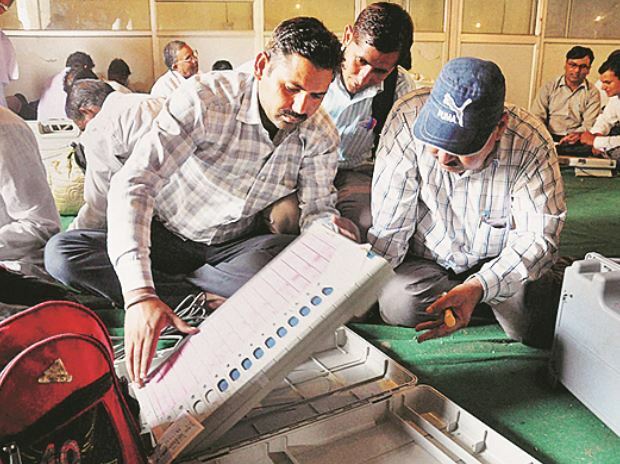 The Congress on Thursday sent 39 complaints to the Election Commission (EC) about "glitches" in the functioning of EVMs at some booths in six Lok Sabha seats of Maharashtra where polling was underway, the party said. The state Congress in statement said it made 12 complaints to the EC via e-mail, pointing out glitches in the electronic voting machines (EVMs) at some booths in Nagpur, followed by eight such complaints in Chandrapur, six in Wardha and five in Ramtek. Besides these six constituencies, polling was also underway on Thursday in Bhandara-Gondiya seat in Vidarbha region during the first phase of Lok Sabha polls. In a separate letter to the state's chief election officer about improper functioning of EVM at a booth in Nagpur constituency, the Congress said the "act" was an "interference" in the conduct of free and fair polls. "You are requested to take cognisance of the matter and direct the returning officer to look into the matter immediately and take corrective steps," state Congress legal cell's vice chairman Vijay Pandey said in the letter.